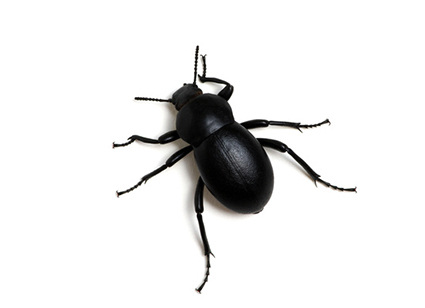 Beetles are usually found in gardens or cropland environments because they feed off of plants, and are usually not harmful. They are more durable and waterproof than other insects because their shells, which is a problem when they infest a home. Usually they do the most damage by infesting parts of home such as carpet because they feed off the natural fibers. They also feed on wood structures such as home foundation, hardwood floors, and furniture.